We are a Kukkiwon Certified school and an active USAT member. Mr. Sauers is a 4th Dan Black Belt and has been training in the Martial Arts for nearly 25+ years. He has a passion for Taekwondo and other styles such as Hapkido & Pekiti-Tirsia Kali. He is a certified USAT Referee and Coach who continues to learn more of other arts to expand in his teachings for his students. Mr. Sauers taught Taekwondo at the Fife Community Center from 2015 - 2017. Mr. Sauers played soccer as a child and teen and grew up in Kent. He has extensive experience as a soccer and baseball coach; he held the position of Vice President and Ethics Chairperson at the Norpoint Soccer Club in Tacoma for several years. Mr. Sauers has also been the Vice President and Sr/Jr Director of Soundview Little League for 4 years. He takes all of his coaching skills and brings them to the mat. It takes a special person to spend their "downtime" coaching kids. The hours of preparing drills, practice and game time. This is how Mr. Sauers approaches every day at FMAA. He cares about each of his students and their family. You will find Mr. Sauers on the mat working out along side his students and showing them how to correctly do their kicks or punches. He is a hands-on school owner. Mrs. Sauers is the After School Coordinator and office administrator. She has been a Taekwondo mom for many years and loves being at the school. Her favorite part of Taekwondo is seeing the pure enjoyment on the children faces as they train and accomplish a goal. Especially seeing the confidence and respect grow within each child. 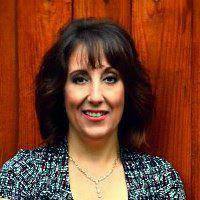 Her son, Assistant Instructor Anthony Maggio, trained and earned his Black Belt at the school. She has spent many hours, on the same benches our current parents sit on, watching her son train. She understands the commitment the student have to make but also the parents. Mrs. Sauers strives to follow the 5 Tenants of Taekwondo not only in her personal life but also professionally at Microsoft. Mrs. Sauers uses her years of training on culture differences, inclusion, diversity, and ethics from Microsoft at the school. She deeply cares for all and wants to make an impact on the local community by providing a safe, encouraging place for kids to go and thrive. Mrs. Sauers believes in equality, supporting each other, and giving back to the community. She started the Fierce Diva program to empower women since she is a survivor of domestic violence from her first marriage. 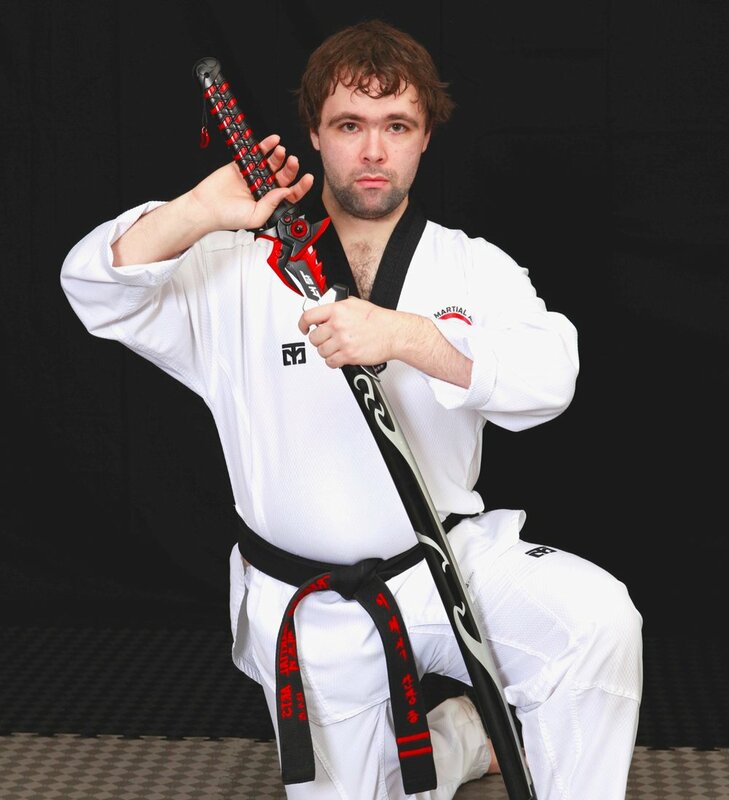 Mr. Jeffrey Brown is a 2nd Dan Black Belt and has been training in Taekwondo since 2004. Mr. Brown not only continues to pursue his own daily training in Taekwondo and self defense, but he also spends much of his time co-teaching our juniors, kids, and adult students, as well as assisting with belt tests and facilitating many of schools extracurricular activities. Mr. Brown enjoys martial arts because everyone can learn from one another and the connections you make. His hobbies are video games, cosplaying, reading and learning things related to what he likes. Mr. Frazier is a 2nd Dan Black Belt and 1st Dan Kukkiwon. He has been studying Taekwondo since his young teen years. He also trains in Kung Fu. Mr. Frazier helps with our Fierce Diva classes and workshops each week. He loves our school and can be seen at many events supporting us. Mr. Frazier loves to cook and is a great guy. We are very grateful for all that he does. Mr. Anthony Maggio is a 1st Dan Black Belt and has been training in Taekwondo since 2011. Mr. Maggio has experience instructing, assisting with classes and competing in many Taekwondo competitions. He is known for his "fire" when sparring and his loud Kihap (yell)! Mr. Maggio is also an Eagle Scout, a Puyallup HS graduate and has currently passed his EMT training and working on becoming state certified. When he isn't teaching, working, or studying, he enjoys spending time with his friends. He would like to thank his mom, Mrs. Sauers, for pushing him to never give up. And for leading by example (staying strong, completing a goal, and most importantly - being kind). Sifu Norm has been studying traditional Kung Fu for over 18 years within the Shaolin Kung Fu system he teaches. His passion and primary focus is on traditional mind and body conditioning, stances, empty hand and weapons forms. He emphasizes the artistry of Kung Fu for the benefits it gives the practitioner, however the heart of even the most beautiful Kung Fu movement is rooted in martial application. Debbie is a living example of the values that she believes in. She is dedicated to healthy living and exercise and has a passion for encouraging and sharing these values with others. Debbie trains in Taekwondo at the school which she uses to enhance the class. Her class focuses on combining multiple forms of exercise to keep your body challenged in order to promote muscular development as well as maximum cardio exertion. Each week you will find something different in Debbie’s class, so you will always find yourself coming back for more. Come try it as your first class is always FREE! Mr. Art Samson has been training in the Filipino martial art of Pekiti Tirsia Kali since 2010 and has been awarded a Full Instructor rank. Mr. Samson has trained primarily under the head of the PTK System; Grandtuhon Leo T. Gaje and has had the opportunity to train under many of the system’s senior instructors both here in the United States as well as the Philippines. Our main Black Belt instructors are volunteers in local school districts and have passed their background checks through them. Our mission is to provide a safe place for children and families. That means, all who are in contact with children at FMAA must abide by the SafeSport guidelines, go through training and pass a background check.